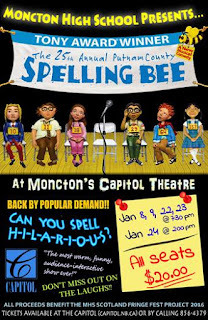 -Moncton High's production of the Musical Comedy "The 25th Annual Putnam County Spelling Bee" happens this weekend at the Capitol Theatre. 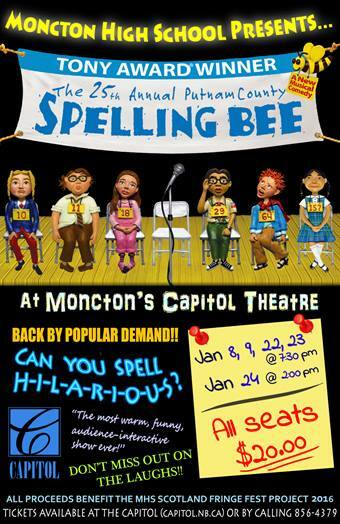 *Note: They'll also be back on Friday 22 Jan at 7:30p, Saturday 23 Jan at 7:30p, and Sunday 24 Jan at 2:00p. 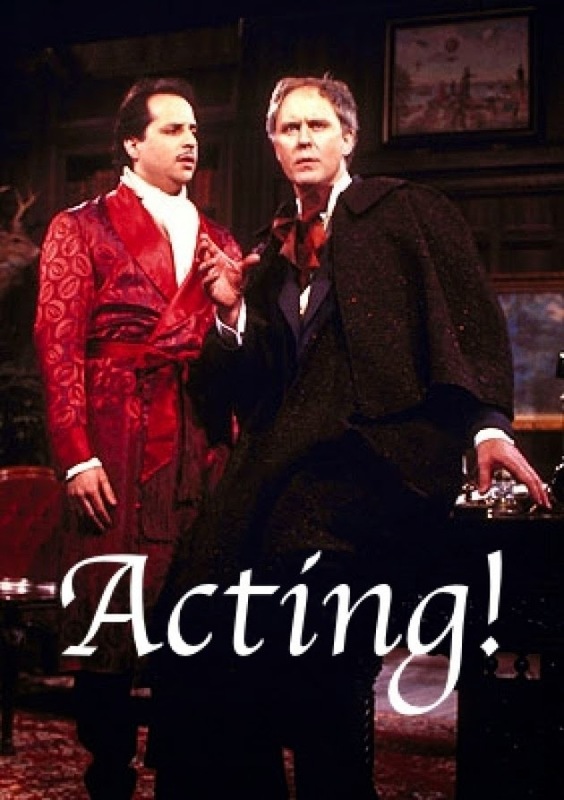 *Note: this is a fundraiser for a school trip to the Edinburgh Fringe Festival!